We are all a bundle of hundreds of hard-wired behavioural patterns that have successfully kept our genes alive since Adam underwent a bit of surgery. This means that our monkey brain decides to do many things without us really thinking about them: at best we rationalise an ex-post semi-logical explanation. I talk from experience. Because we are generally unaware of there behavioural responses (or 'bias' to give them their more formal name), they are very powerful - and can be used against us quite successfully (think of any breed of salesman). At the very best, we can hope to recognise the patterns and adopt some kind of strategy to minimise their influence - because it's not like you can turn them off. One of the strongest behavioural quirks in investing is 'loss aversion': being happier to risk a profit rather than an equivalent loss. I suffer from this but try to keep it under control through various strategies and investing 'rules'. First, this investor really doesn't like to sell his losers. Watching a falling price over three years doesn't look like much fun. Second, FGP didn't go bust (yet) - if the price recovers to the point where the capital loss is wiped out, the overall cost will be the opportunity cost of lost income for a couple of years. So at what point do you think its best to "cut your losses". 10% loss, 15%, 25%, 50% or just hang on? 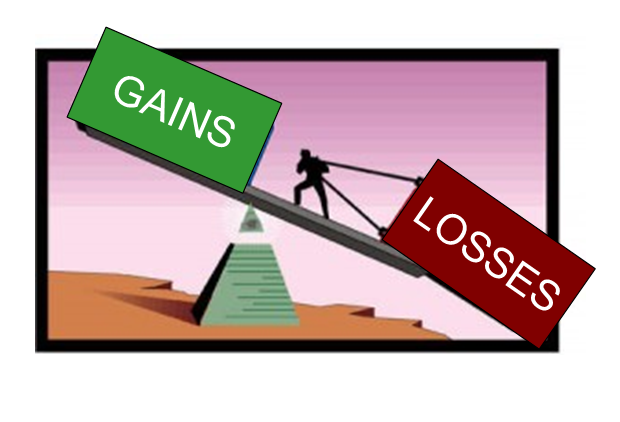 I don't like to lose money but a 10% loss is preferable to 20%. As always a great post. I don't know if your saw it but horizon had an episode recently that looks into this topic. I definitely suffer from loss aversion. The problem is you think you learn from your mistakes yet usually the same happens time and time again. Interesting post given my current dilemma. I have around £3500 invested in RSA with a price per share of 1.25. I currently have the capacity to invest the same amount again in them which by my sums will bring the price per share down to 1.06. I reckon there's a lot more chance of them getting to around 1.10 than 1.30 and am thinking of buying a bunch to drag my price per share down with a view to sell when they get closer to profit (depending on my bottle). What's your take on TLPR at the moment? Yes, they are on my radar: how did you know? Looks like divi will be maintained; so good yield at the mo. However, price has weakened considerably of late. Court ruling imminent. Looks a good buying . Didn't you hold these last year? From what I could see, assuming you bought on April 9, till Sep 2011, you were about the same price and would have collected dividends like clockwork. That is when the rails started coming off, with a steep plunge in March 2012. If let us say, you had a stop loss of price - collected dividend less 5% (which is your yield target), you would have a stop loss of 3.14. The calculation is (3.67 entry - collected dividends of 0.14, 0.0712, 0.15 ) * 0.95. The moment that was breached in November 2011, you would have exited. My suggestion is that like you have a "Sell" indicator which flashes red when you collect 5 years dividend, you should have a "Sell" indicator which flashes when your capital is at risk. Ultimately, you can still decide to ignore the Capital risk "Sell" indicator, but at the very least it flashes it. Thanks V - very helpful! That is the one element in my investment rules I am missing at the moment, although it is fairly obvious now that you mention it. Food for thought. Here is the paper which outlines the ideal level.